The other great modern Chicago ad agency was the Leo Burnett Company. Burnett started the agency in 1935, mortgaging his house in the midst of the Great Depression. In 1989 the agency claimed $3.2 billion annual billings and maintained offices in over 40 countries. Burnett’s television campaigns included the Jolly Green Giant, the Pillsbury Dough Boy, Charlie Tuna, Tony the Tiger, and the Marlboro Man. Advertising Age ranked Burnett the third most influential person in the history of American advertising. The Chicago Tribune was third nationally among newspapers in total advertising linage from the 1920s into the 1950s, creating and placing ads for thousands of its retail customers. Advertising Age, the best advertising trade magazine in the world, was started in the Windy City in 1930. The magazine’s critical style set the standard for business Journalism across the country. In 1875, one Thomas Cusack, a youth in his teens, started a business with only a paint pot and brush and a remarkable personality as assets. The business consisted in painting advertising signs on the sides of buildings in a small way. 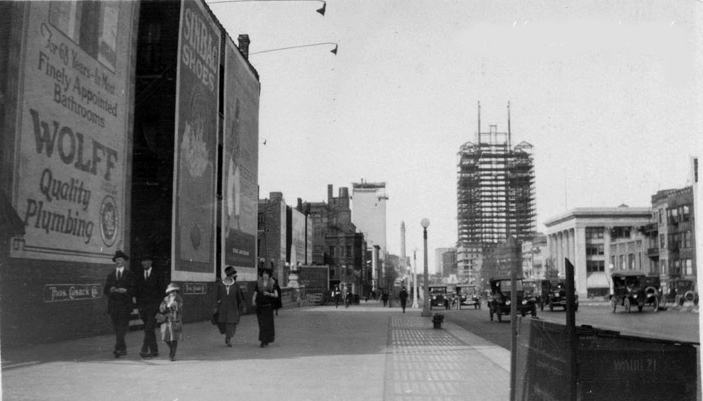 Gradually, he took to building billboards of his own, and leasing suitable walls and other locations for outdoor advertisements. Thomas Cusack was known as the “Billboard Baron”. 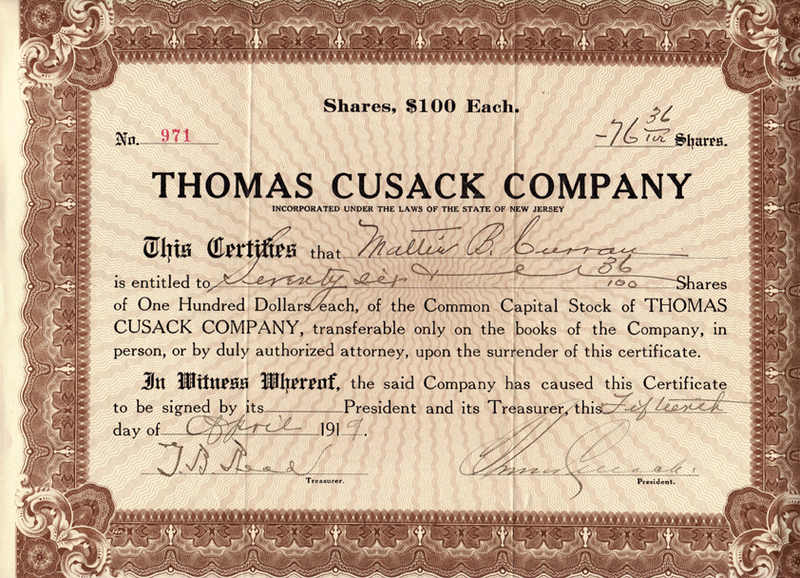 In the first two decades of the 20th Century, the Thomas Cusack Company was the leading outdoor advertising firm in the United States. Cusack established his own sign painting business when he was only 17 years old. He discovered early in his career that he could transform the bare, dead walls of buildings into colorful enticing signs…. and make a lot of money doing it! As one of the couple of outdoor advertising pioneers, Cusacks’ influence on the city of Chicago rose. In 1898, Cusack was elected to his first and only term in the United States Congress. After only one term, Congressman Cusack decided to return to his outdoor advertising business which had grown to more than 100 offices across the country. Chicago has a rich advertising history that contributed heavily to the development of the profession. The following is some of the “greatest ideas in Chicago Advertising History.” These classic ads were featured in the Chicago Advertising Club’s 75th anniversary booklet, published in 1980. Enjoy the trip back in time to some of the greatest ads ever produced. Agency: Foote, Cone, & Belding Adv., Inc. Which twin has the Toni?” This theme, together with the twins’ photographs illustrated, at a glance, that the product fulfilled its promise. The theme caught on with the public and was quoted and joked about in cartoons, on stage, television, radio, etc. This is an outstanding example of the strongest kind of demonstration advertising. It provided the public with a product for which there was a need, and showed clearly that a permanent wave costing $15.00 in a beauty shop, could be equaled by a product costing only $1.25 (later $2.00). It revolutionized women’s attitudes toward permanent waving. In 1909 Claude Hopkins established this product as “The soap for beauty,” using a cosmetic approach on an ordinary product for the first time. This was the first beauty soap. Later the line “keep that schoolgirl complexion” was added. It helped Palmolive become the world’s largest selling toilet soap. Agency: NW Ayer & Son, Inc. When It Rains, It Pours” became an ad campaign and trademark to make Morton Salt known as the only free pouring salt in a moisture-proof container. This campaign is known to this day by grandparents and children alike. The little chick was probably the original animal character used in mass advertising. It symbolized the claim “Hasn’t scratched yet.” Bon Ami ran this campaign for more than 50 years. This nomination is for the invention of Betty Crocker. In 1921 a Gold Medal Flour ad created by the agency, Blackett-Sample-McFarland, developed a picture puzzle with answers so obvious the company was flooded with mail from consumers. To answer the letters, company officials thought it would be best to respond with a letter signed by a woman. The character, Betty Crocker, was created with a signature only. By 1940 Betty Crocker was the second best known woman in America, running only behind Eleanor Roosevelt. There’s a Ford in your future.”This campaign held consumer loyalty in a period of car shortages during and after World War II. This campaign was a breakthrough for two reasons: 1) It ran when no one could buy the product (i.e., during World War II; and 2) It promised a new life style which the product would offer after the war. The cartoon character “Speedy Alka Seltzer” was one of the first characters that actually was the product. He was used in all facets of promotion and all media and point of purchase, creating a very memorable campaign. Agency: J. Walter Thompson Company and Foote, Cone, & Belding Adv., Inc. The original name of this breakthrough product was the “Sears Allstate 12 Volt Super Power Cell.” It was renamed and promoted as the Sears DieHard which “starts your car when other batteries won’t.” The idea to rename the product was brilliant. The advertising which has followed is equally powerful. It is based on simple demonstrations of the product’s dependability. The DieHard is, also, one of the few products introduced in the Sixties which became Number 1 in replacement batteries through the print media exclusively and maintained its position through the use of television. “The Uncola” completely revolutionized soft drink advertising. Awareness, brand identity and market share were increased. More importantly, this campaign became the quintessential example of marketing positioning (i.e., this is the one that tastes good that’s not a cola.